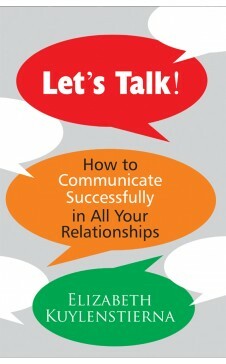 Let's Talk How to Communicate successfully in All Your Relationships LETS TALK - HOW TO COMMUNICATE SUCCESSFULLY IN ALL YOUR RELATIONS will guide you on how to enhance contact through successful communication, with yourself and the people you meet. 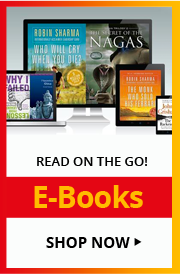 Through personal insights and professional expertise, the author will help you cope with communication blocks and teach you when to say NO, and also YES with confidence. Real life examples, new models of expression and exercises will improve your life quality by helping you to build vibrant and healthy relationships. Elizabeth Kuylenstierna - a professional therapist and crisis manager. She is among Sweden's most popular lecturers and authors. As a therapist, she works with groups- on conflict management as also job satisfaction and team building, with individuals, including many corporate leaders and managers. She helps corporate executives achieve better results, implement and adapt to change maximise their capacity to build healthier working climates. Her training and educational background includes group and leader development, communication and journalism. Elizabeth lives in Sweden with her family.